What will iCureCeliac® help to accomplish? Your participation in iCureCeliac® will help discover new ways to improve patient lives through better diagnostic tools, treatments for cross-contact and gluten consumption, governmental policy changes, and access to new and innovative clinical trials nationwide which may one day cure celiac disease. How many people with celiac disease do you need in iCureCeliac®? Researchers and the biopharmaceutical industry have informed us that we need 10,000 participants in iCureCeliac® in order to maximize its potential. What kinds of questions will iCureCeliac® help answer? Why should I participate in iCureCeliac®? By adding your data to iCureCeliac® you are helping to advance life-changing initiatives in research, education, and advocacy. By aggregating large amounts of data from thousands of patients living with celiac disease, we are able to analyze disease patterns and help answer questions most important to patients. iCureCeliac® is our best path to a cure for celiac disease because it offers a large-scale approach to researching complex disease patterns. Your health information is incredibly valuable. By aggregating large amounts of data from thousands of patients living with celiac disease, we are able to analyze disease patterns and help answer questions most important to patients. Your data can shape the types of research studies to be conducted that are most beneficial to you – the patient. How can I participate in clinical trials and research studies? Based on the information you submit to iCureCeliac®, as well as the eligibility criteria set forth by researchers and biopharmaceutical companies, Celiac Disease Foundation will notify you of existing opportunities to participate in clinical trials or research studies. Researchers and biopharmaceutical company representatives will never contact you directly unless you authorize them to; for most opportunities you will contact the researcher or biopharmaceutical company representative yourself. How much time will it take to complete the survey? iCureCeliac® has a number of surveys important to researchers. Each survey may be completed in 10 minutes or less. You may complete as many surveys (or as few) as you would like, and log back in at a later time to complete more. If you want to answer them all at once, you should expect to spend at least 45 minutes. Am I able to save my responses, log out, and finish a survey at another time? Yes, you may save your responses, log out, and then log back in when you’re ready to continue a survey. How often should I update my information in iCureCeliac®? We will send you an email reminder to update your answers approximately every six months after you complete or update a survey. Every so often, we may notify you of additional surveys that have been added to iCureCeliac® for you to complete. What kinds of information will I be asked to contribute to iCureCeliac®? You will be asked questions about your medical history, symptoms, diagnosis, and potential treatments. Questions about your general health, reproductive health, dietary adherence, disease concerns, family history, and demographic information will also be asked. What makes iCureCeliac® different from other celiac disease and non-celiac gluten/wheat sensitivity data collection programs? Launched in March 2016, iCureCeliac® is the only public patient registry in the United States for celiac disease. iCureCeliac® launched as a Patient-Centered Outcomes Research Institute (PCORI)-funded project. iCureCeliac® was developed in collaboration with the University of Southern California (USC), the Celiac Disease Foundation Medical Advisory Board, and other members of the celiac disease scientific and medical communities. Will I know how my data is being used by researchers? Your anonymized information will be pooled with data from thousands of other people with celiac disease. The pooled information is used by researchers to identify patterns that would not otherwise be visible, and to gain insights into the causes, mechanisms, and implications of the disease. iCureCeliac® will provide updates about the research studies and clinical trials as they progress. How often will I receive updates from iCureCeliac®? You will receive updates from us periodically, for example, when there is a new survey, important news, and/or research findings. You will also receive exclusive opportunities to participate in clinical trials and focus groups that may offer payment or other incentives for your participation. Can my relatives with celiac disease add their data to iCureCeliac®? Absolutely! If you have a child or relative under the age of 18, we ask that you complete iCureCeliac® on their behalf. What am I committing to by joining iCureCeliac®? Upon joining iCureCeliac®, we ask that you share accurate and honest health information to the best of your knowledge, and that you continue to share your information as new surveys are added. You are able to withdraw your participation at any time. How can I suggest improvements to or offer feedback on iCureCeliac®? Please feel free to send your comments to iCureCeliac@celiac.org. How can my healthcare provider participate in iCureCeliac®? Your provider can order iCureCeliac® brochures through the Celiac Disease Foundation Waiting Room Program to display in his/her office that educate patients about iCureCeliac®. Who created the iCureCeliac® initiative? Launched as a Patient-Centered Outcomes Research Institute (PCORI)-funded project, iCureCeliac® was developed in collaboration with the the University of Southern California (USC), the Celiac Disease Foundation Medical Advisory Board, and other members of the celiac disease scientific and medical communities. 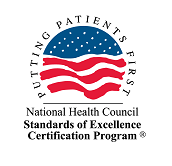 The initial funding for iCureCeliac® was provided by the Patient-Centered Outcomes Research (PCORI), a non-governmental institute created as part of a modification to the Social Security Act by clauses in the Patient Protection and Affordable Care Act of 2010. Currently, iCureCeliac® is maintained through individual donations. How does iCureCeliac® protect my privacy? iCureCeliac® takes your privacy and security very seriously and has policies and processes in place to safeguard your identity and protect your health data. Only authorized personnel have access to your contact information, and this information is never attached to the health information that we share with researchers. iCureCeliac® is built using all industry-standard physical and electronic technical precautions to protect your information. Will iCureCeliac® share my health information? Your health information is anonymized for researchers, which means they do not have access to your contact information. Neither your contact information nor your health information will not be shared with the general public. Will researchers ever contact me directly? Researchers will never contact you directly. the Celiac Disease Foundation will inform you of any opportunities to participate in clinical trials or research studies, and you will be able to follow-up with the researcher directly, or authorize them to contact you.